Itel Magic 1 comes with price of Rs. 1399. . Itel Magic 1 has 32 MB RAM with 32 MB Internal Memory. It has 0.3 MP Rear Camera with flash and 0.3 MP Front Camera with flash. GreenBerry G118 comes with price of Rs. 1499. and this mobile has 256 MB RAM with 256 MB Internal Memory. This phone has only 2.4 MP Rear Camera with flash. ✓ The highlight of this mobile is 1.2 GHz CPU Speed which is great in this price range. Xiaomi Qin 1 is new upcoming mobile from Xiaomi. This mobile might come at a price of Rs. 1799. The processor in this phone is MediaTek MT6260A. This mobile has 8 MB RAM with 16 MB Internal Memory. Muphone M100 comes with price of Rs. 999. and this phone has 32 MB RAM with 32 MB Internal Memory. It has only 0.2 MP Rear Camera without flash. Muphone M20 comes with price of Rs. 999. and this mobile has 32 MB RAM with 32 MB Internal Memory. This mobile has only 1.2 MP Rear Camera without flash. Muphone M5800 comes with price of Rs. 999. . This mobile has 32 MB RAM with 32 MB Internal Memory. 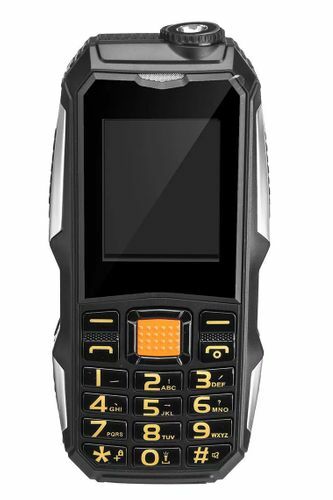 This mobile has only 0.2 MP Rear Camera without flash. Muphone M6700 comes with price of Rs. 999. . Muphone M6700 has 32 MB RAM with 32 MB Internal Memory. It has only 0.2 MP Rear Camera without flash. itel it5617 comes with price of Rs. 1199. . itel it5617 has 32 MB RAM with 32 MB Internal Memory. This model has only 0.3 MP Rear Camera without flash. Jio released its Jio JioPhone on September, 2017. The Cost of this mobile is Rs. 1500. The processor in this phone is SPRD 9820A/QC8905. This model has 512 MB RAM with 4 GB Internal Memory. Jio JioPhone comes with 4G & 3G connectivity. It has 2 MP Rear Camera without flash along with 0.3 MP Front Camera without flash. HAIYU H1 comes with price of Rs. 1498. . This phone has 32 MB RAM with 32 MB Internal Memory.